Feel safe and secure with Hylton Security Service, a premier provider of public and private security services, 24 hours a day, 7 days a week. Stadium and Venue Security includes; risk management, protecting patrons, entertainers, athletes, and staff. Also, Hylton Security provides venue security with the best practices to reduce risk exposure and threats to the public. We take care of the risk management, threat and vulnerability assessments, security planning and strategies for you. What are the services included in Stadium and Venue Security? These services and more are provided by Hylton Security. Reassure the client that staff, patrons, performers and property are well protected and lessen liability. 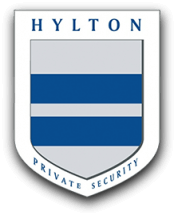 At Hylton Security, we have an extensive, well-trained, and experienced team that will manage successful your venue. We have experience with working in arenas, fairs, stadiums, concert shows, exhibits and large crowds. Having security guarantees that the event runs without incident and that the guests have a welcome experience.